£82,000 FUNDING UP FOR GRABS FOR COMMUNITY ORGANISATIONS IN WALES! Community groups in Wales are being invited to apply for a slice of £82,000 funding by the UK’s fourth largest building society. 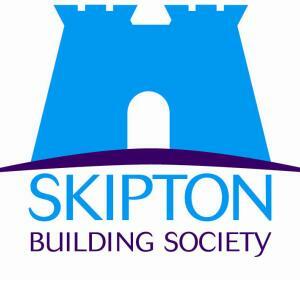 Skipton Building Society’s Grassroots Giving community funding scheme has 164 pots of £500 to give away in 2017 and is urging organisations in Wales to put their name forward before the deadline on 31 July. The award-winning Grassroots Giving is now well into its 2017 campaign in a bid to give a financial boost to dozens of groups across the country. Now in its fifth year, the programme was first launched in 2013 as part of the Society’s 160th anniversary. While offering community funding as part of the scheme, Grassroots Giving also provides support, guidance and public profile for every single group that enters. Deadline for applications is 31 July and the public will then be asked to vote for their favourite shortlisted groups. Last year 38,000 public votes saw 163 groups each receive £500 to help fund projects. 80% of those groups who received funding believe that the Grassroots Giving campaign will help them continue their work in the future. Roy Prenton, from Skipton’s Grassroots Giving team, said: “Grassroots Giving is all about helping small community groups that usually struggle to gain any kind of financial support. Our scheme has far exceeded our expectations, demonstrating that many local community groups need this help and support. You can also follow Grassroots Giving’s Twitter feed, @SkiptonBS_grg for all the latest news and find us on Facebook at https://www.facebook.com/skiptongrg.